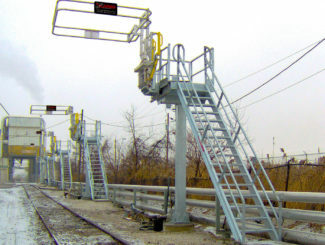 Offered with single car train access or double stations, the Redi-Rack loading platform provides safe, easy access to vehicles. The 4′ × 6′ work surface can be outfitted with a variety of gangways and SAF-T Cages. 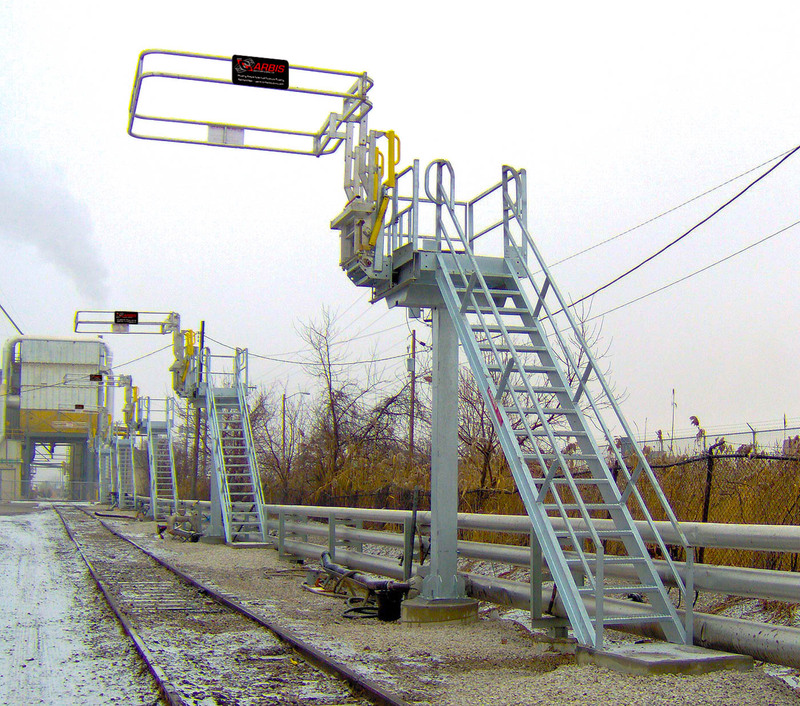 All gangways have slip-resistant walk surfaces, allowing a safe, efficient working area. 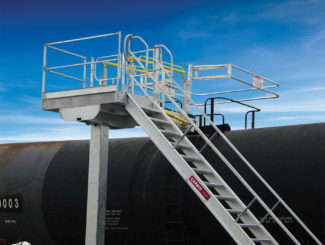 Platforms come in three heights for rail car, hopper car, or tank truck access. Corrosion-resistant galvanized steel is standard; other materials, including fiberglass and aluminum, are available. 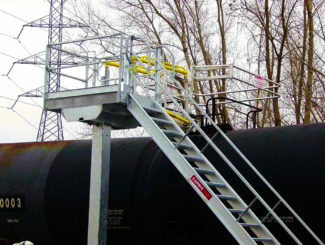 Redi-Rack loading platforms are perfect for situations where access is consistent in height and location. Rail cars come in all shapes and sizes. 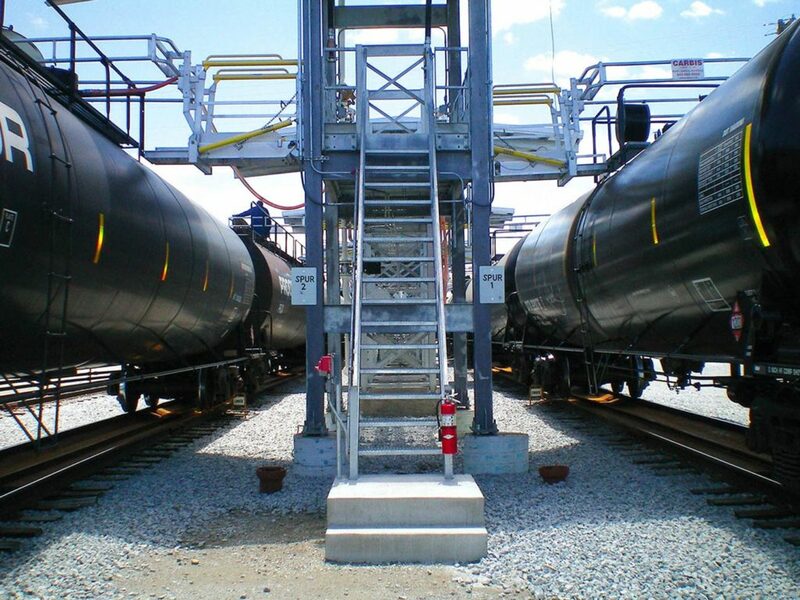 You need flexiblity with your railcar loading solution which accommodates every configuration possible. 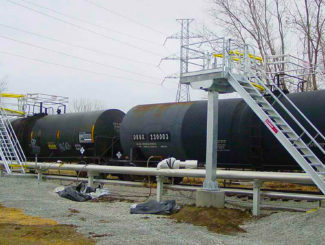 Also, you need a rail car fall protection solustion that not only efficiently loads railcars, but also protects workers.